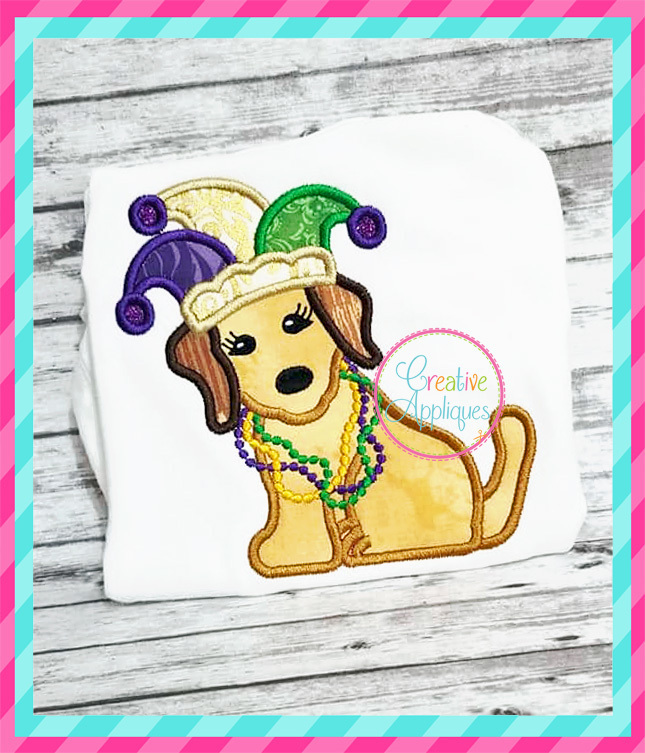 Mardi Gras Dog Girl Applique - 4 Sizes! Comes in 4 sizes, uses 7 fabric pieces, and includes step by step stitch order chart. Alphabet is not included. 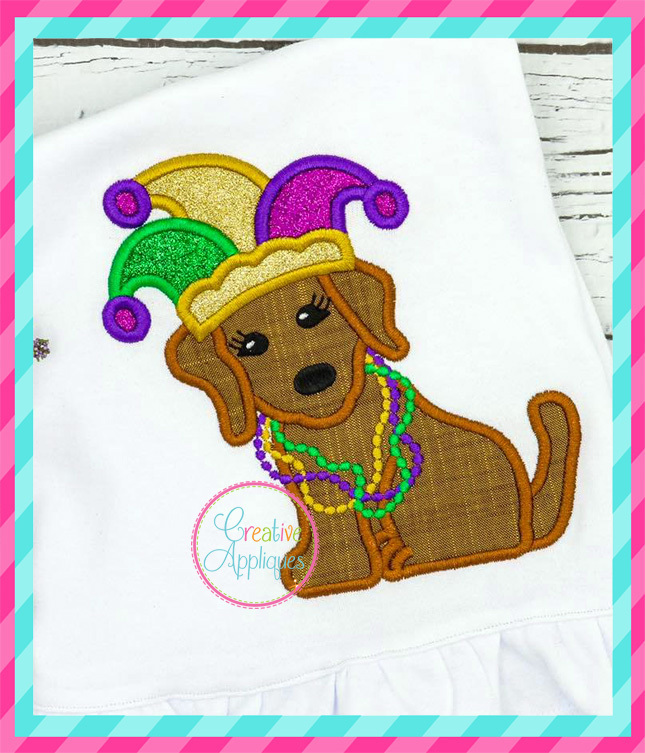 Creative Appliques is giving 25% off all purchases! Promotion ends on 12/31/2019. Earn 3 points at checkout OR buy this item for 60 points. 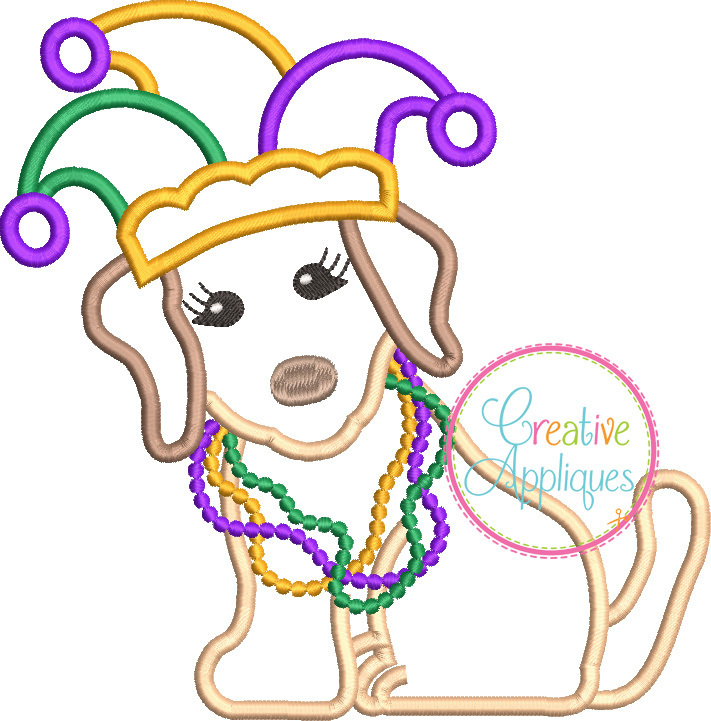 Bead Dog Applique - 4 Sizes! Valentine Dog Applique - 4 Sizes! Valentine Girl Dog Applique - 4 Sizes! 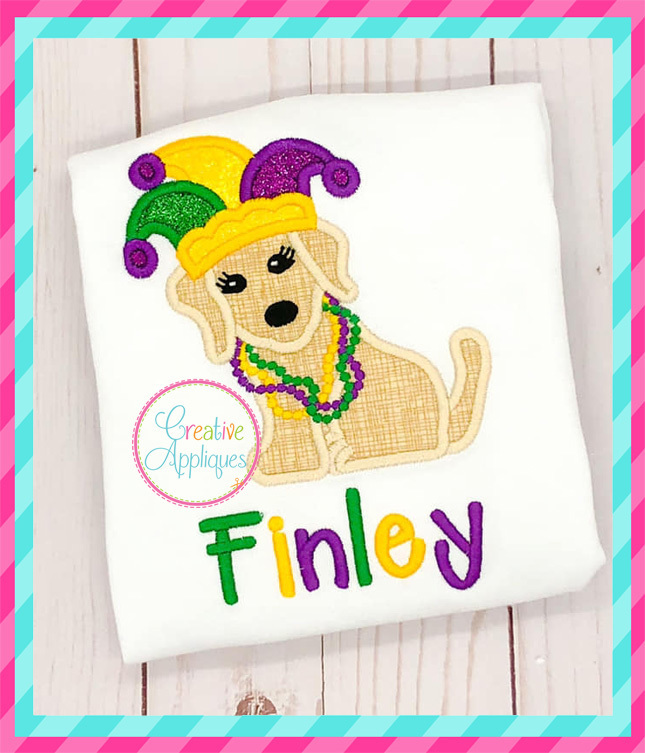 Lucky Boy Dog Applique - 3 Sizes!